Many, if not most, construction contracts contain dispute resolution clauses referring any and all disputes to arbitration. Parties who use standardized Canadian Construction Documents Committee (“CCDC”) contracts for their projects are undoubtedly familiar, to some degree, with the arbitration process. Given the prevalence of arbitrations, it is important to understand the available means of recourse in the event you are the unsuccessful party in an arbitration decision. This article will discuss the criteria for a statutory appeal of an arbitration decision. In Alberta, appeals of arbitration decisions are governed by section 44 of the Arbitration Act, R.S.A. 2000, c. A-43 (the “Arbitration Act”). Equivalent legislation in other provinces, with some variations, are section 31 of the British Columbia Arbitration Act, section 45 of the Saskatchewan Arbitration Act, section 44 of the Manitoba Arbitration Act and section 45 of the Ontario Arbitration Act. 44(1) If the arbitration agreement so provides, a party may appeal an award to the court on a question of law, on a question of fact or on a question of mixed law and fact. 44(2) If the arbitration agreement does not provide that the parties may appeal an award to the court on a question of law, a party may, with the permission of the court, appeal an award to the court on a question of law. (b) the determination of the question of law at issue will significantly affect the rights of the parties. The validity of arbitration agreements or dispute resolution clauses prohibiting all appeals, even appeals on questions of law, varies depending on the province. Under section 3 of the Arbitration Act, parties are not permitted to vary or exclude subsection 44(2) of the Arbitration Act. A similar restriction can be found in section 3 of the Manitoba Arbitration Act. 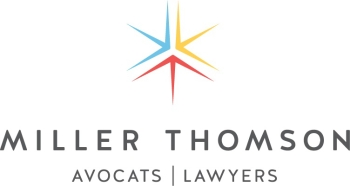 By comparison, under section 3 of the Ontario Arbitration Act, section 4 of the Saskatchewan Arbitration Act and section 35 of the British Columbia Arbitration Act, parties are permitted to agree to exclude the appeal provisions of those statutes. Although not the focus of this article, interestingly enough, Ontario courts have, in fact, gone so far as to state that an agreement that there be no appeal from a “final and binding” arbitration decision includes a prohibition against applications for leave to appeal, even if the agreement itself does not contain express contractual language to that effect. (a) Questions of law: These are questions regarding whether the correct legal principle was applied, whether the correct legal test or standard was articulated, whether the test was correctly applied and questions regarding statutory interpretation. (b) Questions of fact: These are questions regarding what actually took place between the parties. (c) Mixed questions of law and fact: These are questions that also involve the application of the legal test, but focus on whether the facts meet the legal principle or test, and include questions of contractual interpretation. Since distinguishing between a question of law and a question of mixed fact and law is not always easy, some courts have focused on whether it is possible to extricate a pure legal question from what appears to be a question of mixed fact and law. For example, when the error in a finding of negligence can be attributed to the application of an incorrect standard or a failure to consider a required element of a legal test, such an error can be characterized as an extricable error of law. However, when the issue on appeal involves the arbitrator’s interpretation of the evidence as a whole, or the application of the correct legal test to the evidence, there is no extricable error of law, and it will not be considered a question of law. Subsection 44(2.1)(a) of the Arbitration Act imposes a high standard when considering whether the importance to the parties of the matters at stake in the arbitration justifies an appeal. The word “justifies” is to be applied objectively. Jurisprudence has described the “importance” part of this test as requiring something “unusual”, “extraordinary” or “objectively important”. One is required to show that the matters at stake are of greater importance to the parties than may be expected in a typical leave application and are of sufficient importance to justify engaging the appellate process. Where the resolution of those alleged errors was not essential to the arbitration decision, only had a trivial and inconsequential effect on the decision as a whole or will make no practical difference to the end result, courts have held that the appeal is not justified and the parties’ rights will not be significantly affected. In short, subsection 44(2.1)(a) requires consideration of the importance of the matters at stake, not whether resolution of the specific question is of importance. This is in contrast to subsection 44(2.1)(b), which requires an analysis of the significance of how the question will affect the rights of the parties. The courts have stated that this standard will be neither easy nor impossible to satisfy and that most applications will not meet it. This is consistent with the deferential approach to the review of arbitral decisions consistently advocated by the Supreme Court of Canada. An additional complication is the issue of whether or not one must also prove that the issue involves an element of public interest. Normally, to justify an appeal, the courts consider, amongst other things, whether the issue is of general importance, such that a pronouncement by an appellate court is warranted – in other words, whether the question is of sufficient significance to the public that it merits the investment of public resources in the appellate process. This is difficult to establish in an arbitration situation. In contrast to a court judgment, which creates legal precedent that may impact all future lawsuits, a decision by an arbitrator has less precedential value and is unlikely to be publicly accessible as many arbitrations are private and confidential. In the 2000 case of Schultz v. Schultz, the Court held that subsection 44(2.1) must require some element of public interest or public issue or else it would be meaningless since in every litigation and appeal, the issues involved are important to the litigants and the determination of questions of law significantly affect the rights of the litigants. In the 2002 case of Sherwin-Williams Co. v. Walls Alive (Edmonton) Ltd., the Court explained that since the parties agreed to arbitration, they should be held to their agreement even if they are dissatisfied with the decision unless it is in the public’s interest for a court to allow an appeal. In the 2002 case of Rudiger Holdings Ltd. v. Kellyvone Farms Ltd., the Court disagreed that public interest must be at stake before leave to appeal will be allowed because if that was the intention, then it was odd that the legislature specifically chose the following phrases: “the importance of the matters to the parties” and “significantly affect the rights of the parties”. In the 2010 case of Fuhr Estate v. Husky Oil Marketing Company, the Court similarly held that there is nothing in the language of the Arbitration Act that requires there to be a public interest element before leave may be granted and if the legislature intended otherwise, then it would have said so. The general trend appears to be a move away from requiring the applicant to prove an element of public interest. That being said, despite summarizing the trend towards rejecting an element of public interest, the Alberta Court of Queen’s Bench in the 2018 case of KBR Industrial Canada Co. v. Air Liquide Global E&C Solutions Canada LP nevertheless held that public interest may be a factor, especially where the development of the common law may occur if the question of law is adjudicated by the Courts. Subsection 44(2.1)(b) of the Arbitration Act permits leave to be granted only where an appeal will “significantly affect” the parties’ rights. This is a high standard that is not easily satisfied and which, again, most cases will not meet. Case law is clear that appeals cannot be granted simply because one party will suffer an economic loss, otherwise, leave would be granted virtually as a matter of course in almost all cases. This would be contrary to the objectives of a timely and binding resolution under the Arbitration Act. For example, in the 2018 case of KBR Industrial Canada Co. v. Air Liquide Global E&C Solutions Canada LP, the contested amount was approximately $15 million. The Court acknowledged this amount would be significant to either party but noted that its importance may be lessened where the parties, as in the instant case, are sophisticated international corporations involved in huge business ventures. Given the increasing sophistication and use of joint ventures of parties to a construction project, whether that be the owner, contractor, supplier or engineering consultant, this comment is particularly relevant. 44(3) Notwithstanding subsections (1) and (2), a party may not appeal an award to the court on a question of law that the parties expressly referred to the arbitral tribunal for decision. Wide view: it bars all subsidiary questions of law that must be answered in order to answer the questions that were expressly referred to the arbitrator. Narrow view: it bars only discrete questions that have specifically been referred to the arbitrator and does not include subsidiary issues necessary to answer those questions. Notably, the wording of subsection 44(3) does not speak to questions “referred”, but rather those “expressly referred”. After some conflict in the jurisprudence, it appears settled that, to be meaningful, subsection 44(3) must be given a narrow interpretation. If the question of law arose incidentally in the course of making a broader or more topic-oriented decision, there is no barrier to appeal, otherwise subsection 44(2) will be rendered meaningless. But if the matter expressly referred to arbitration “necessarily includes” the question subject to appeal, then it is a question of law that was expressly referred to the arbitrator. the appeal is not a question of law that the parties expressly referred to arbitration. The bar is high in each step of the above test, and the courts have made it clear that leave to appeal will rarely be granted. The takeaway, therefore, is that if the desire is to preserve the right to appeal all issues that may be decided in arbitration, it is preferable to avoid the necessity of engaging section 44 of the Arbitration Act. This can be done by ensuring, from the start, that the arbitration agreement or the contract dispute resolution clause explicitly sets out not only the right of the parties to appeal but also whether the parties are entitled to appeal questions of law, fact and/or mixed law and fact.